For decades, people have been looking to the Toyota Corolla when they need a dependable compact car that’s perfect for family travel. Here at Toyota of Newnan, we believe in long-term relationships, and that’s why we’re proud to offer our Lifetime Limited Powertrain Warranty for all our vehicles, new and used, including the new 2018 Toyota Corolla. The 2018 Toyota Corolla is powered by a 1.8-liter four-cylinder engine that gets 132 horsepower and 128 lb-ft of torque. The engine is paired to a six-speed manual transmission or a CVT. In the Toyota Corolla Eco, that engine gets 140 horsepower and 126 lb-ft but it only comes with the CVT. The Toyota Corolla iM uses the same engine as the Toyota Corolla Eco sedan, but rated slightly lower at 137 horsepower and 126 lb-ft. In the Toyota Corolla iM hatch, the engine can be paired to a six-speed manual or a CVT. Standard features on the 2018 Toyota Corolla sedan include 60/40 split-folding rear seats, a USB port, a rearview, Bluetooth® connectivity, Toyota’s Entune™ infotainment system with a 6.1-inch touchscreen, LED headlights, 15-inch steel wheels, and cloth upholstery. Higher trims can be had with alloy wheels up to 17 inches in diameter, a moonroof, multi-beam LED headlights, leatherette upholstery, a 4.2-inch multi-information display, keyless entry/start, heated front seats, and navigation with a 7.0-inch touchscreen. To see these features in action, test drive this Toyota for sale when you visit us at Toyota of Newnan. The National Highway Traffic Safety Administration gave the 2018 Toyota Corolla sedan a five-star overall safety rating. In the front crash prevention test, the Toyota Corolla received a Superior. Every 2018 Toyota Corolla sedan comes with standard Toyota Safety Sense™-P, which bundles together adaptive cruise control, forward collision warning, pedestrian detection, automatic emergency braking, lane departure warning with steering assist and automatic high beams. 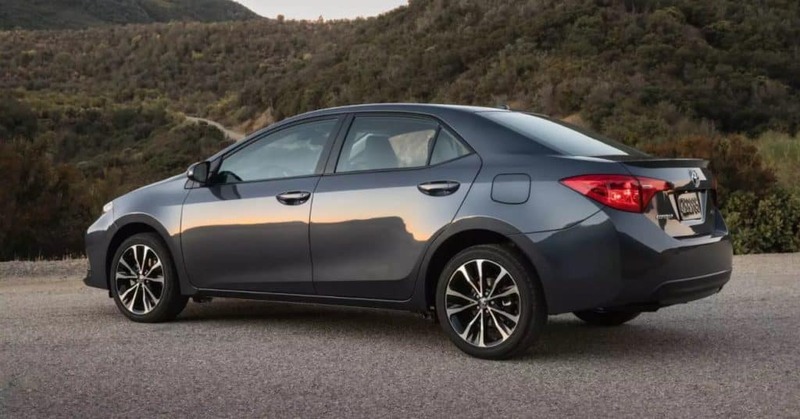 The Toyota Corolla iM comes with Toyota Safety Sense-C, which only comes with forward collision warning, automatic emergency braking, lane departure warning, and automatic high beams. 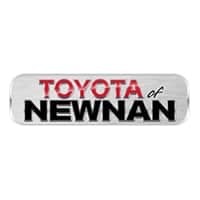 Our skilled sales staff at Toyota of Newnan are experts at finding the Toyota car that’s right for you. Come visit us at 2 Herring Road in Newnan, GA – 35 miles southwest of Atlanta – where we can set you up for a test drive of our new or pre-owned Toyota models and answer any questions you might have. Come and meet the 2018 Toyota Corolla.